MOSCOW, November 5 /TASS/. The Russian Defense Ministry denies US allegations that Russian warplanes in Syria are bombing regions, which are out of President Assad’s control, rather than terrorist infrastructure, Russian Defense Ministry Spokesperson Igor Konashenkov said on Thursday. He explained that US Assistant Secretary of State Victoria Nuland told Congress hearings held earlier that the Russian air group in Syria delivered most of its strikes at regions which were no longer under the control of President Assad’s regime rather than at terrorists. “If we analyze what various US officials say, there is an impression that the location of terrorist-held facilities is the most classified state secret in the United States. Representatives of the Pentagon and the State Department keep mentioning them all the time without specifying their exact location,” Konashenkov said. Once again, he stressed that the Russian air group in Syria was not bombing regions or areas but objects of terrorist infrastructure. 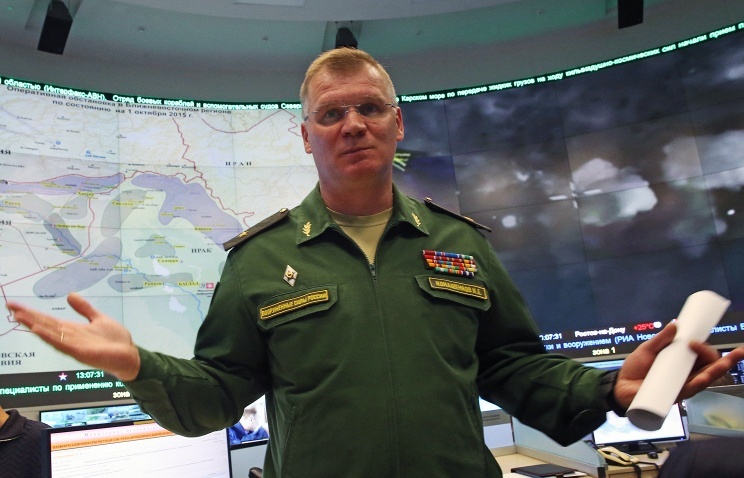 Konashenkov recalled that Russia had officially handed over maps with detailed information on terrorist-controlled regions and facilities to the military attaches of countries members of the US-led coalition. “Please note that neither the State Department nor the Pentagon has denied the information which we provided to them. Therefore, I believe, that comments are unnecessary,” the Russian Defense Ministry spokesman concluded.